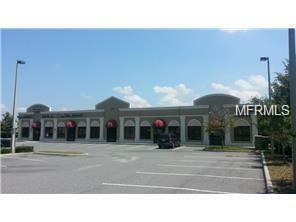 Commercial Site available with one unit Ready to Move In. Looking to rent for long term leasing. Unit 103 is approximately 700 Sq. Ft. Professional office is a plus! Physicians, Law Firms, CPA's are welcome! Monthly rate will be $1050 per Month, plus tax.Off Highway 27, approximately 2.5 miles from Highway 192, 2 miles from Walmart and approximately 9 miles away from Disney.Please call Multi Choice Management LLC for detail information and showing instructions.